It is said that Wing Chun was created by Nun Wumei of Shaolin. One of the branches, Hard Wing Chun by name, was improved on by artist of Hong boxing Liang Zan through practicing and spread in Guangdong’s troupes. 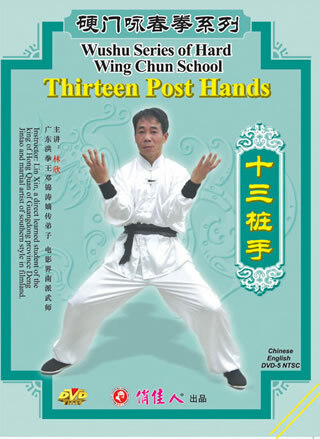 Consisting of all the hand methods used in this school, Thirteen Post Hands is the basic skill of Hard Wing Chun. As long as one gets familiar with these post hands, he has mastered most technique actions of Hard Wing Chun and will find it helpful in further study.